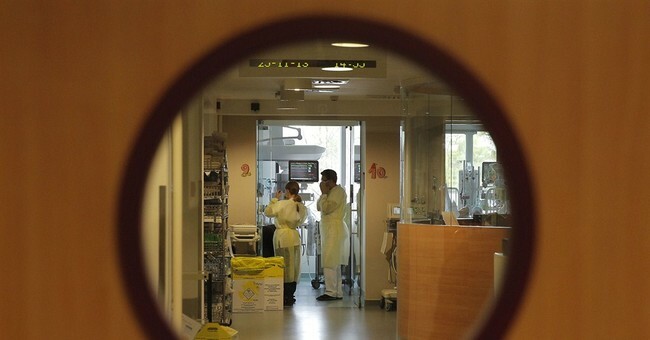 Euthanasia is now the cause of 4.5 percent of deaths in the Netherlands. The rise in the practice has grave implications for the elderly and people dependent on caregivers, as more people who don't suffer from terminal illness are requesting euthanasia. In 2015, more than one-third were older than 80 years. According to the New England Journal of Medicine, 92 percent of those who died from assisted suicide or euthanasia suffered from a "serious somatic" illness, mental disorders, and 14 percent suffered "an accumulation of health problems" from old age, and a small number had dementia or mental health problems. A patient must be “suffering unbearably without hope of relief”, but having a terminal illness is not required for legal assisted suicide or euthanasia. “It looks like patients are now more willing to ask for euthanasia and physicians are more willing to grant it,” Agnes Van der Heide from Erasmus University Medical Center in Rotterdam said. According to the journal: In the Netherlands, “euthanasia is…death resulting from medication that is administered by a physician with the explicit intention of hastening death at the explicit request of the physician.” And assisted suicide, “the patient self-administers medication that was prescribed by a physician.” While it has become more common, the journal says that the 2002 Euthanasia Act was formalizing a practice that already existed. In all, the AP reports that approximately 8 percent of people who died in 2015 received assistance. The Netherlands was the first country to legalize euthanasia and assisted suicide, when the law passed in 2002. But in 1997, Oregon allowed for the assisted suicide of people who had six or fewer months to live, and is legal in multiple U.S. states.